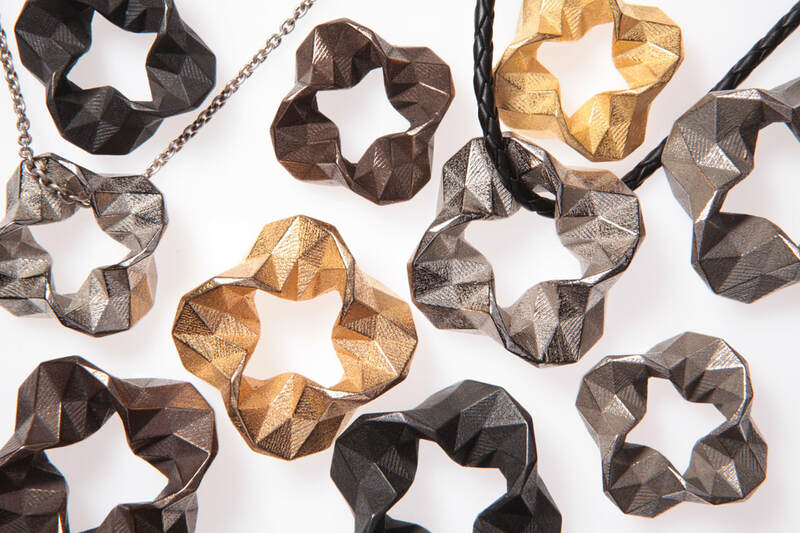 A sculptural pendant suitable for both men and women. It is available in two sizes. 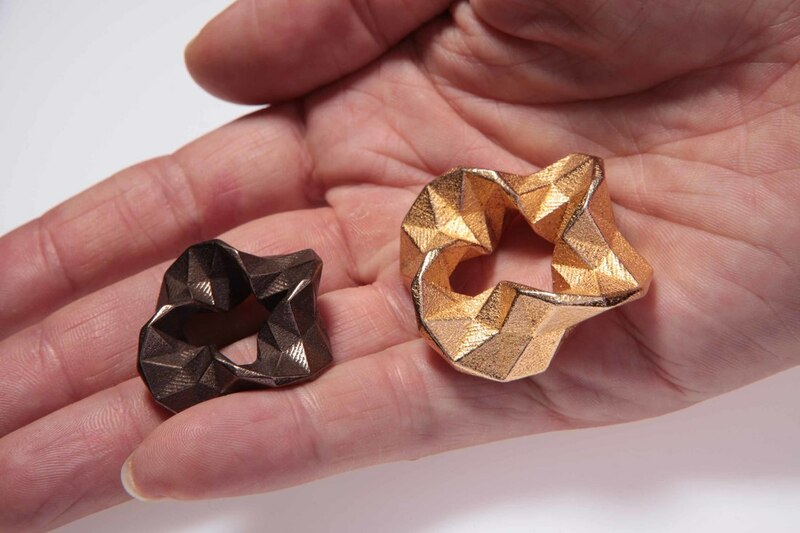 Available in 3D printed bronze-infused stainless steel. 3D printed stainless steel from Shapeways. Chain and leather cord for illustration purposes only. 3D printed stainless steel from Shapeways.